Why is there only two walls? and why is it surrounded with a orange gate? 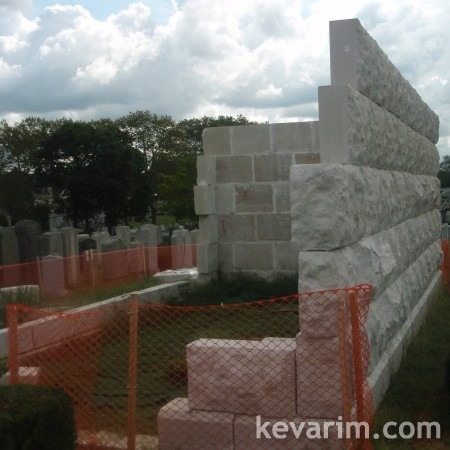 He passed away already about ten years ago so why is there no full ohel yet? Moshe; they are probabely waiting for a sponser. Do you want to be a sponser? A stop work order is posted on the wall. Who put the order on the wall? this is a huge bizoyan. without mentioning names, this needs to be resolved ASAP. it is presently in the courts. well they should have done it legally from the start. you cannot do whatever you want. They have permitsn there are other things standing in the way of why they cant finish it. Today is the Skverer Rebbe ZT”L’s Yortzeit.